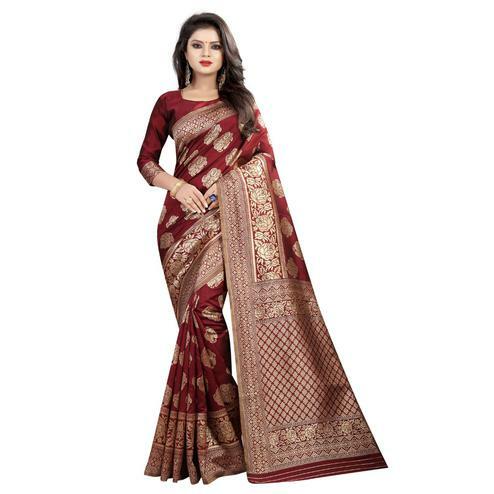 Beige - maroon georgette saree enriched with traditional bandhani prints and lotus design. 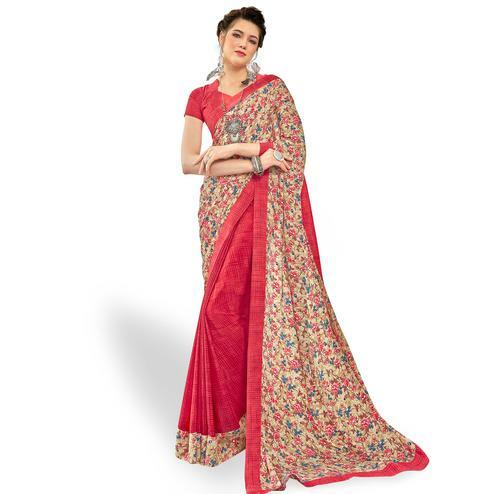 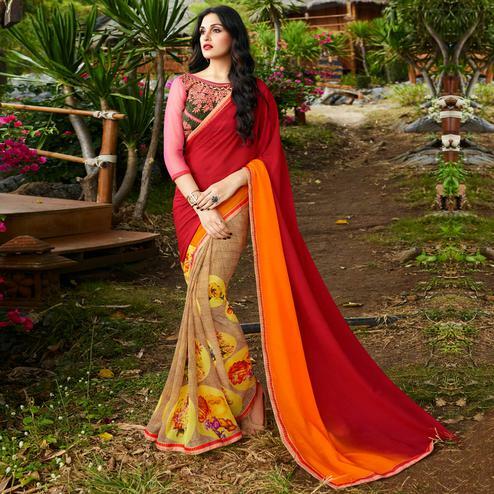 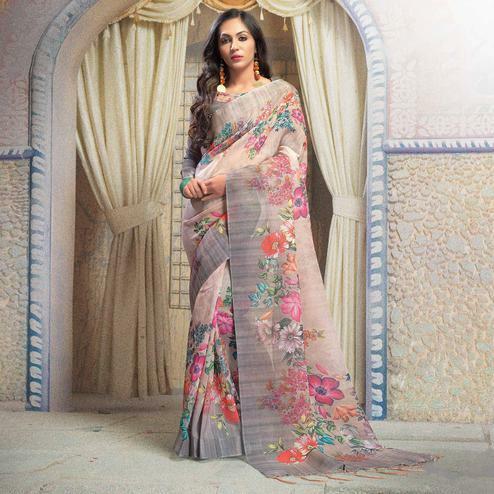 Saree paired with matching fabric unstitched blouse with similar prints and border. 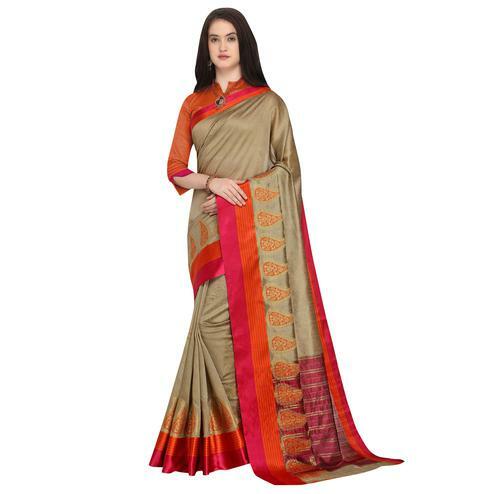 Ideal to wear for traditional functions and occasions.